Property managers are paid to keep occupants happy and facilities on track. Throw in a recurrent “black mold” problem, water damage from a leaking pipe, or a full-blown flood and mold growth emergency … and the property manager’s job can seem overwhelming. That’s why strategic planning is crucial. With a properly thought-out plan in place, a mold and moisture crisis can become considerably less stressful. You’re prepared with a logical sequence of predetermined actions that help you deal with the situation calmly and effectively. 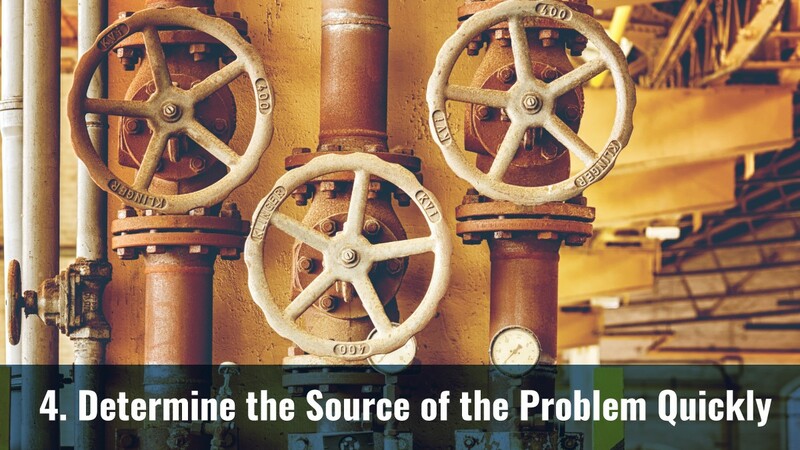 The simple seven-step plan outlined below can also minimize the loss of revenue from facilities downtime, prevent overcharging by remediation contractors, and provide proof of your competent and concerned management should a legal challenge arise. It can also save you a huge headache. You may have already developed a mold and moisture program and would like to use our suggestions as a checklist to make sure yours is complete. Or you may not have a plan in place right now at all. Either way, here’s a field-tested mold and moisture plan template you can use to get prepared and stay prepared for the next burst pipe or black mold scare that comes your way. Mold and moisture are topics that can generate unfounded fear and unwarranted media attention. Relatively minor situations can quickly gain traction in the press and launch rumors that can plague your school, hospital, apartment complex, or other commercial property for years. Don’t wait for a situation to happen. Be proactive. 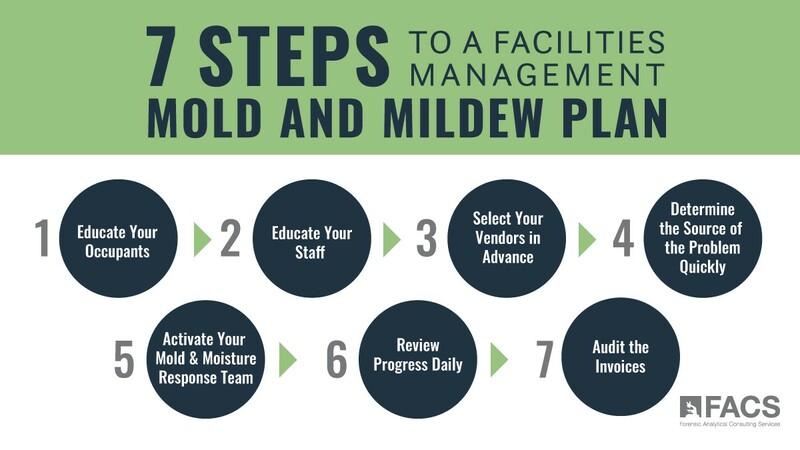 Here’s a seven-step template you can use to design a mold and moisture plan for facilities management. The more eyes you have looking out for problems, the quicker those troublespots can be identified, and the less time you’ll need to get the situation under control. Make mold and moisture education part of the tenant move-in procedure, the annual inspection, the health fair – look for opportune times to make sure the people who occupy your property know what to look for and how to report mold and moisture issues they find. Not only does enlisting your tenants in the work of monitoring building and environmental health help you with problem awareness, it gives occupants of your property the feeling that you really do care about them and value their input. 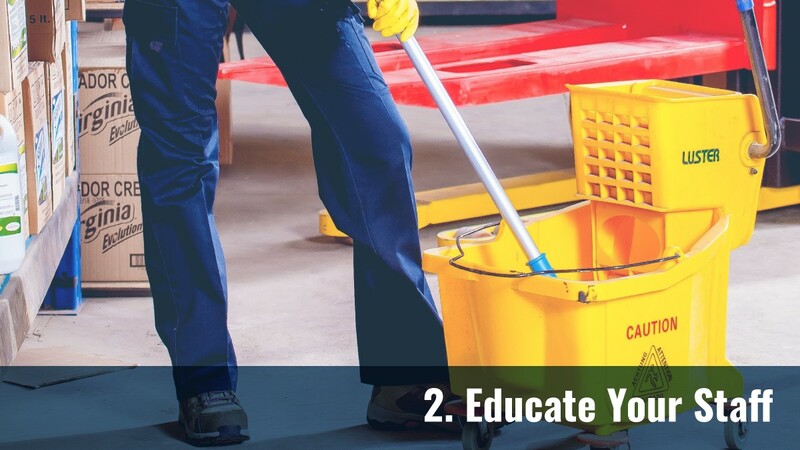 Don’t limit your mold and moisture training to employees responsible for facilities maintenance. Provide training to everyone who works at the property. 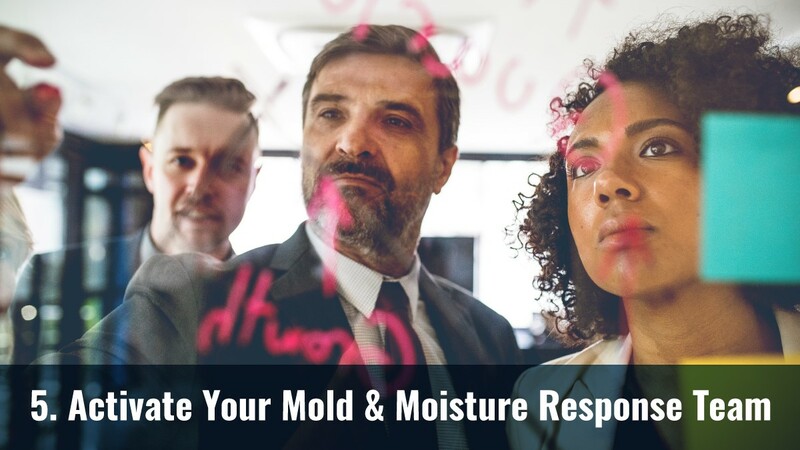 Show them how to properly recognize and respond to mold and moisture issues and how the entire staff is part of the overall mold and moisture strategic plan. Staff should also be taught how to appropriately respond to mold and moisture concerns from building occupants. An outbreak of mold can quickly stir up fear and ignite worried conversations that spread way beyond the building and its tenants. 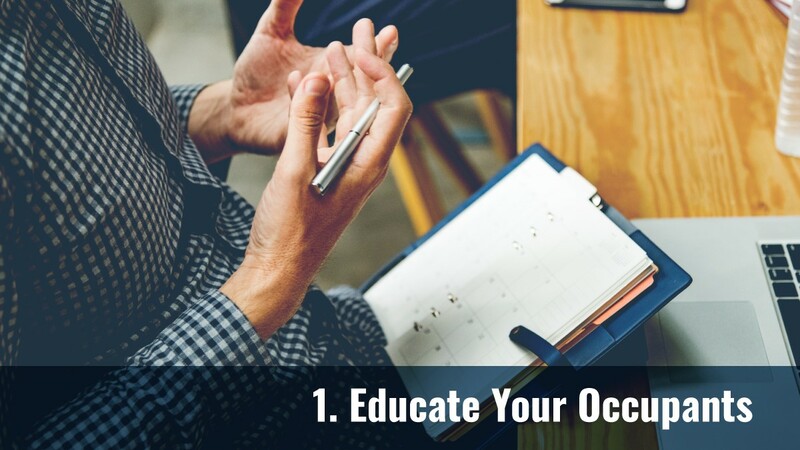 Equip your employees with science-based facts they can use to calmly and confidently assure all occupants the situation will be swiftly contained and controlled. At FACS, we often work hand-in-hand with property managers to develop and implement training programs appropriate for the entire staff. If you need help getting going, call us at 888-711-9998. Create agreements with restoration and remediation contractors before you need their services. Otherwise, you’ll be pressed to accept the first contractor who answers the phone when you begin calling for help in a panic. That can lead to shoddy workmanship and inflated invoices. How many trained crew members does the contractor employ? What equipment does the contractor own? Is the contractor available 24/7? Who answers the emergency line? What is the average response time on weekends and after hours? What levels of liability insurance does the contractor maintain? How does the contractor establish fees for projects? Is there a rate sheet? For some tips on how we handle vendor selection and staff training, contact us via the FACS Incident Response Management page here: FIRM. The quicker you get to the source of a moisture intrusion, the quicker you can get it stopped. Train your staff and residents to promptly report even seemingly minor moisture problems found anywhere on the property. Never ignore a situation and definitely never try to cover it up and deal with it later. Conduct a water intrusion inspection to find out where the water is coming from and realistically assess the threat. Don’t wait for it to get worse. Don’t wait for mold to begin to appear. Treat every mold and moisture event as a priority issue. An adequate response now can prevent the need for an emergency response in the future. At FACS, we find that properly trained staff can often cut the problem off at the source without needing to call for help from a contractor. That’s not only better for your budget, but it’s better for the reputation of your property and the comfort of your tenants, too. Depending on the situation, your own maintenance crew may be able to handle the issue themselves. You’ll need to weigh the total costs of assigning the job to staff versus calling in contractors. Remember to consider the potential revenue loss if the area affected needs to be vacated while repairs are made. Properly trained contractors have the resources and experience to get the property back in service with minimum downtime. 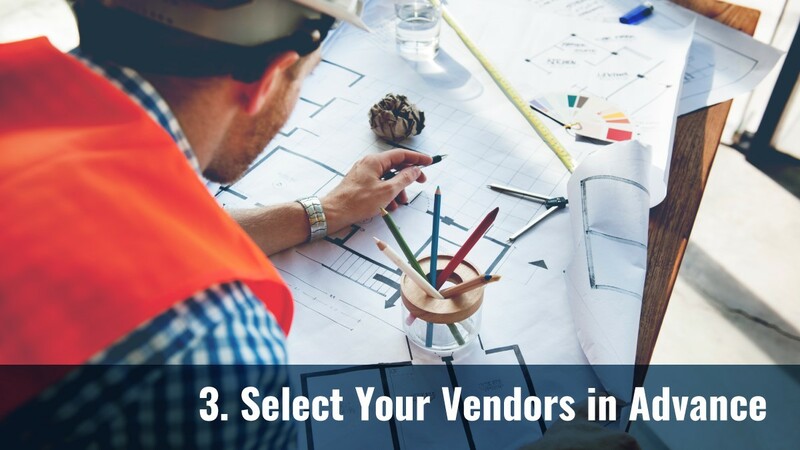 If you decide to call for outside help, consult your pre-qualified vendors list. Be prepared to adequately describe the situation your team uncovered. Get a commitment on response time, and follow any instructions the contractor provides to begin problem mitigation. This is typically the most harrowing part of your mold and moisture plan. You’re counting on the vendors you’ve selected to launch an appropriate response and act as if your problem is their problem. Some will and some won’t. Only experience with each vendor will tell. If you need help locating quality vendors in your area, call the FIRM team. They maintain an updated list of contractors that routinely score high marks with clients. The best contractors will tell you what needs to happen, how long it will take for those things to happen, and when you can expect the job to be completed. Hold them to their promises. Ask for daily progress reports. Make sure you or your representative visits the work area frequently. Note the procedures the contractor is using, the tools needed, the man-hours required, and the supplies on hand. That information will be invaluable during the invoice audit (next on this list). 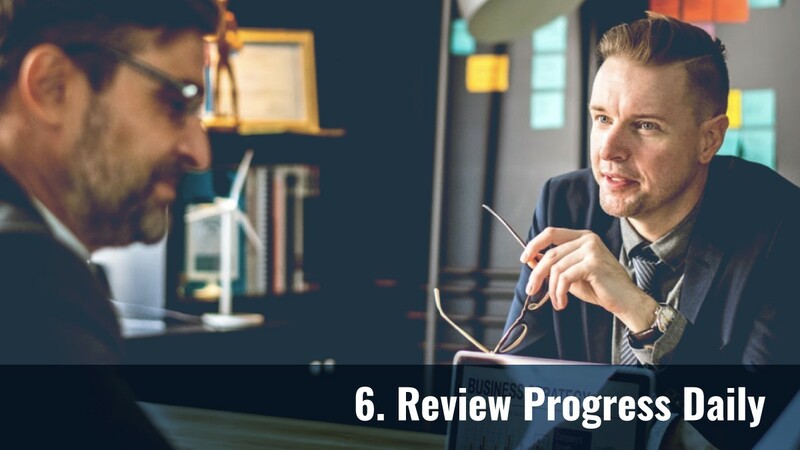 Whether you personally manage the work or assign a staff member to monitor the job, make sure every employee knows the status of the work and the expected timeline. Tenants and occupants will surely ask. Make sure those questions are answered the same way by everyone on the staff. Nobody should ever get a “We don’t know” response. The rush and excitement of mold and moisture response activities can result in sloppy recordkeeping and excessive charges. 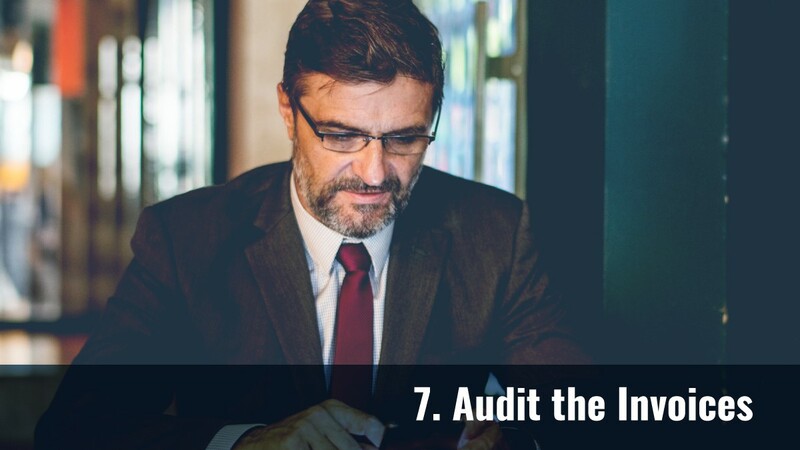 Reputable contractors will audit their own invoices before presenting them to you, but that doesn’t relieve your responsibility to go over the bills closely. Draw from your daily reports to compare the man-hours supplied by the contractor, materials and supplies needed, tools required, and such against the invoice. If there’s a significant discrepancy, you’ll want to know why. Invoice auditing is a tedious procedure, perhaps, but the potential impact on the budget makes it a necessary and worthwhile task. FIRM teams have seen property managers save thousands of dollars by using a simple, but focused, auditing process. 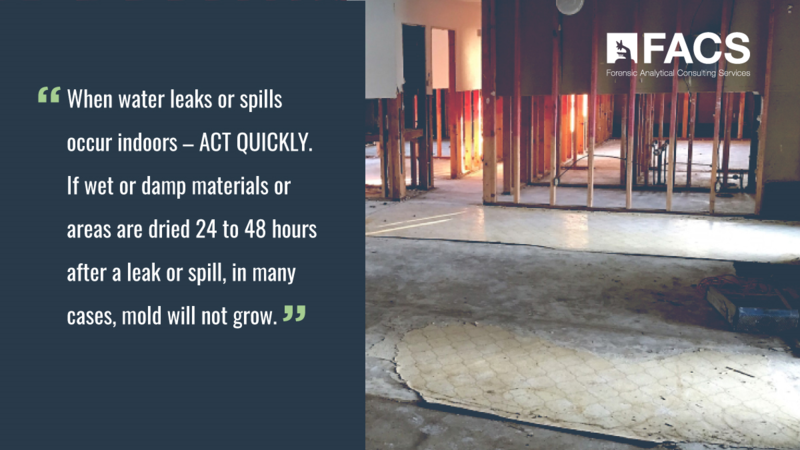 Water leaks and intrusions can quickly move from presenting a relatively simple moisture mitigation job to becoming a costly mold and moisture remediation project. Always remember this: Time is not your friend when mold and moisture problems occur. Identify your level of risk from problems associated with mold and moisture. How large is your potential liability? What would happen if you were presented with a $21 million lawsuit by a former employee (like the Sullivan County Schools case)? Could your company survive if it made news headlines and drew a class-action lawsuit from disgruntled tenants (check the Invitation Homes nightmare) over lack of attention to things like black mold in the kitchen? Yes, it takes time and effort to prepare and carry out a mold and moisture plan for property management – but the protection and peace of mind it can provide is well worth the trouble. At FACS, we take strategic planning seriously. Our litigation experts are often asked to provide expert testimony in court cases involving environmental health and industrial hygiene. Our FIRM program, for instance, includes a documentation procedure that can proactively protect you against legal threats for years to come. We’ve given you a seven-step plan for dealing with mold and moisture events, and we’ve provided a phone number (888-711-9998) you can use to speak with a FACS subject matter expert. Get going. Don’t wait for a catastrophe to force you into action. Our team is skilled at understanding complex issues and providing effective solutions.